"Train up child in the way he should go..."
As a church, we desire to help you succeed in the parenting journey. For this reason, we have prepared the following information to assist you in understanding Child Dedication more thoroughly. Glad Tidings recognize children are a gift from God and we are so glad you are considering dedicating yours to the Lord! Dedicating one’s children to the Lord is an important pledge parents make to God. It is through child dedication that parents make this covenant and pledge their commitment to pass the Christian faith on to their children. Child Dedication is a commitment parents make before God to raise their child in a way that honors Him. It is also a time when your child is prayed over and anointed asking for God’s blessing to be upon him or her. Like a marriage ceremony, it can be done in either a public service before the entire church or a private setting among close friends. Whichever setting you choose, you, as the parent(s), are pledging to train your children in cooperation with the Holy Spirit and the Word of God, in the Christian faith; seeking to instill love for God and faith in Jesus Christ all the days of their life. The word "dedication" means "to consecrate" or the act of setting apart people or things to serve God. In the Old Testament, we see how Hannah prayed for a child and promised God that the child, Samuel, would be given to the Lord all the days of his life. (1 Samuel 1:11, 28). In the New Testament, we see how Joseph and Mary took Jesus to the temple to "present" Him to the Lord (Luke 2:22). These parents took this act very seriously and were making a commitment in presenting their children to the Lord. In both Scripture passages, the parents entrusted their child completely to God. Child Dedication is a commitment parents make to do their part to raise the child before the Lord. Just as the Nazarite children in the Bible had set boundaries and lived their lives set apart to God from birth (Judges 13:5), parents today, through child dedication, commit to living a godly lifestyle themselves and of raising their child in a lifestyle separated from the world’s ways and values. One key step in marking your desire to bring your child up in the ways of God is to dedicate him or her to God, through a Child Dedication ceremony. 1. Child dedication is not a requirement of God. Although the practice has strong Biblical basis, child dedication is not an ordinance given by God to His followers. The two ordinances given by God to believers in the New Testament are water baptism and the Lord’s Supper. As Christians, we are baptized and participate in the Lord’s Supper as outward, public signs of what Christ has done within us when we surrendered our lives to Him in turning from our sins and believing in His name for salvation. 2. Child dedication is not a secret formula for keeping your child from experiencing harm or pain throughout life. 3. Child dedication is not a sacrament; nor does impart salvation to a child. Salvation comes only through faith in Jesus Christ as each person recognizes their sinfulness and receives forgiveness and eternal life through Christ and His work on the cross. Even when Joseph and Mary brought Jesus to dedicate Him to the Lord, although it was slightly more involved since it included a sacrifice, even that ceremony did not indicate or imply any level of salvation associated with the act. We do believe, however, until the age of accountability children are sanctified by the faith of the believing parent (I Cor. 7:13,14). If it is your desire to dedicate your child to the Lord at Glad Tidings Church, read through the following Frequently Asked Questions and then complete the form at the bottom of this page. Do I need to be a formal member of Glad Tidings to have my child dedicated there? No, you do not need to be a formal member of Glad Tidings to have your child dedicated here, but you do have to be a regular attender. Why? In dedicating your child to God, you are stating you are willing to partner with God and the Church to raise your child in cooperation with God’s intentions. God’s intentions include each person who believes in Him to be part of a local body of believers. Although formal membership is not required, it is still recommended. When a person chooses to become a member of the church, they are stating they agree with Glad Tidings beliefs and values, and that they want Glad Tidings to be their home church. If you would like more information on church membership, please contact the church office. While Glad Tidings does not have a set age requirement for child dedication, we recommend a child be dedicated during the first 9 months. Children usually respond more favorably to public presentation at this age. Sometimes, after parents come to salvation, they have their whole family stand before the Lord as a Family Dedication. If you have a similar situation, discuss your desire with a pastor so arrangements can be made. Can I choose my own date? For public services, child dedications are only able to occur on certain weekends when our service schedule allows. A service time may be selected on any of these designated weekends. To find out dates, please contact the church office. For personal ceremonies, dates are more flexible, but would still need to be coordinated with the Pastor’s schedule. Personal dedications can also take place during a prayer time at the altar either before, during or after a service. For public dedication services, who can be invited onto the platform? Typically, only the immediate family comes onto the platform. Your other children are welcome provided they are able to remain still and quiet for the duration of the dedication. If parents wish, parents may invite one or two family members or special guests to join them. What about video-taping or photography? Family or friends are more than welcome to come towards the front of the room to take pictures during the ceremony. They may photograph or record the dedication as long as it does not disrupt the sacredness of the event. Please make sure recording devices are in silent mode. Can a believing grandparent dedicate their grandchildren to the Lord? We do make provision for this, but there would not be a formal, public ceremony. In these cases, the dedication can take place during a prayer time at the altar either before, during or after a service. A grandparent should discuss their desire to dedicate their grandchild and the particulars surrounding the situation with the Pastor. Does Glad Tidings baptize infants? Scripture provides evidence that water baptism follows an individual’s decision to trust Christ alone for salvation (Acts 2:41, 8:12, and 10:47–48). And the New Testament records the baptisms of adult believers only. In the Bible, we find parents bringing their children to Jesus. He held them, prayed for them, and told us to welcome them. But He did not baptize them and He did not tell anyone else to baptize them. Glad Tidings believes Baptism is for those who have made a personal decision to trust Christ alone for their salvation, once they have the maturity and ability to understand what that means. Whereas this differs for each person, we usually encourage children to be at least 11-13 years old before they are baptized in water. Rather than baptizing infants or children, Glad Tidings encourages Christian parents to dedicate their children. This is a ceremony in which parents formally call upon God’s blessing for their child and publicly commit to raise him or her in accordance with Biblical Scripture. Can a single parent dedicate their child? Yes, child dedication signifies the commitment of parents (including single parents) to do their best to raise their child to be a follower of Christ. Additionally, we highly encourage single parents to dedicate their child as they commit themselves to raise him or her without the presence or partnership of a spouse. The decision to dedicate a child is not dependent upon the beliefs of the ex-spouse; however, we encourage single parents to discuss child dedication with their ex-spouse. Ideally, if both parents are believers, though they may have relationship difficulties – it would be best that both commit to the dedication of their child to God. We acknowledge this is often not possible, and that it takes extra effort for a single parent to raise a child. As a church, we are committed to supporting single parents in providing a Christian foundation for their child’s upbringing. 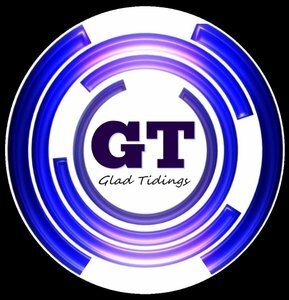 Although Glad Tidings does not use the term “godparents”, we do welcome parents to invite friends and family members committed to supporting them in their pledge to raise their children in the ways of God to stand with them during the dedication. The presence of these significant adults symbolizes their commitment to play a supportive role in the child’s spiritual development. What is required to have your child dedicated at Glad Tidings? 1. First and foremost, parents need to have a personal relationship with Jesus Christ. Because child dedication involves the parent(s) making a Christian commitment to raise their child in cooperation with the Holy Spirit and the Word of God, parents first need to know Jesus for themselves. 2. We ask parents to be regular attenders of Glad Tidings Church. 3. Because baby dedication involves making a commitment as a family to follow the Lord, parents who are co-habitating outside of marriage would be unable to make this vow or participate in the ceremony. We ask parents who are living together and not married to take steps to acknowledge and surrender to God’s plan for their relationship before participating in a child dedication service. If you would like further information or Pastoral guidance with any of the above statements, please contact the Senior Pastor. What happens at the Child Dedication? During the dedication service, parents express vows before God, their family, and the church, declaring their commitment to raise their child in a God-honoring way. Because parents are the key role models for their children, they play a primary role in the dedication service. Dedications generally occur following the worship portion of the service and before the pastor's message. Name tags will be provided for you at the Hospitality Desk in the foyer. We ask that you arrive shortly before the service starts and find a seat in the front right section closest to the platform. If needed, an usher would be happy to assist you in finding a suitable number of seats and location. When the pastor announces your names, please bring your child forward. As parents, you begin by publicly acknowledging your personal relationship with Jesus Christ. As you present your child to God in the presence of the pastor and congregation, you are recognizing that your child belongs to God and has been born to experience His love and to serve Him. You are then committing, as Christian parents, to teach the truths of God's Word in your home and participate in regular worship with your children. You are also committing to be a Christ-like example and seek to lead your children to a personal faith in Christ as soon as they are ready. We will ask you three questions similar to the following about dedicating your child, and then anoint your child with oil and pray over them. Question 3: “Finally, will you be willing to discern the direction of God in _______ life, and act on that direction, releasing your child to God’s purposes? At this point the pastor will usually ask to hold your child and pray over him/her, asking God for His protection and guidance, and to lead the child to a personal relationship with Jesus Christ. The pastor will also pray over you as parents. After leaving the platform, if desired, you can take your child to the nursery and then return to the service. Okay, we're ready! What do we do now? After you have read the information provided on this page, fill out the following form and a Child Dedication Request Form will be sent to you. Once you receive the Child Dedication Request Form, complete it and return it to the church office. Once it is reviewed, you will be contacted by the pastor for the next step, confirm available dates and finalize details.